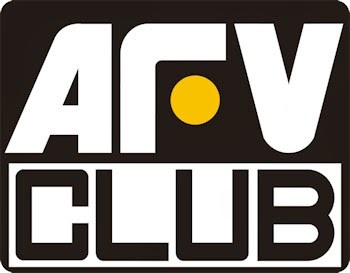 German panzer crews – there are HEAPS of kits out there which focus squarely on them and yes we give the model makers reasons to keep making them ‘cos we keep buying them! What makes this kit any different? Well we thought we should take a look at this sheet as it caught our eye recently. Starting at the box – and all white number with some snazzy German crosses and minimalistic black writing with just the coloured crew in the frame. Simple but really effective in that almost old fashioned Tamiya “White box” formula. We like it already. We couldn’t help thinking we had seen some of the figures before – your guess is as good as ours…. The rear side of the box doubles as the painting and instruction guide. Colours are given out in many colour makes, Humbrol, Mr.color’s Revell & Lifecolor – but no Vallejo? The colour guide is sown on the top saying what to paint and where. Several people out there will customize their own tankmen with camouflage patters but this is a good starting point. There are the figures built up on the box as well and painted to show you what can be done with them. Plastic in the box is a tan styrene with almost no extra seams on the sides of the figures – this is great because everyone else cannot make this simple thing happen. This is a great start and it gets better as the detail on the faces is very good as well. You can see the medals and the double holed belts, the suspenders and the pockets of the garments pretty clearly. This is a well sculpted and moulded kit indeed. The tankmen are all in very much the same outfits – all with a short tankers jacket and trousers. One of the tankmen has his tunic off and you can see his shirt underneath with his suspenders. Three of the tankers wear M43 brim hats whilst the other two wear the side slung forage cap. You can see the tanker’s medals on their left hand side on their torso’s clearly. When you make these figures they are easy to make and no seams on them to trim certainly save you time. Some of the waists on the figures are a little hard to join in that they leave a little bit of a gap – some filler may be needed there without too much bother. 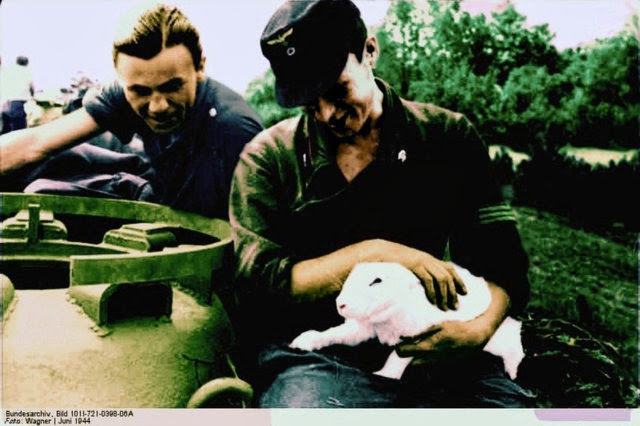 The tankers are holding two rabbits either teasing or giving the dog the scent – the little dog is clearly going nuts and is very animated – one of the tankers trying to restrain him/her. He looks like some type of terrier breed to me but I am no Cesar Milano! There are some decals that go along with this set – they are a welcome inclusion but unfortunately are slightly out of register and with the pink “Waffenfarbe rosa” piping you may have to replicate it yourself in some places. All in all better to have them than not I suppose. The slight our of register on the printing here is not that big a deal as it is only a slight off and you can still use them. The detail on them is good otherwise; the German eagle and death’s head for the collars are legible. 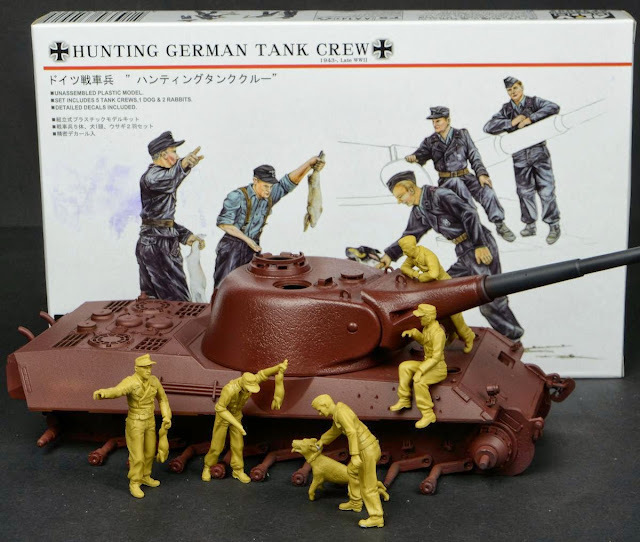 Here are the soldiers together in what a little like the scene they are pictured on the box art – I am sure in a finished scene the tank and figures would be painted but it is better to see them “au natural” rather than my bad painting! With a little tweak to the headgear and the waists of these figures they will come out really well. They are all rather tall for 35th scale figures but they will look very nice with a small bit of work by the modeller. How about this as the inspiration for the next installment?